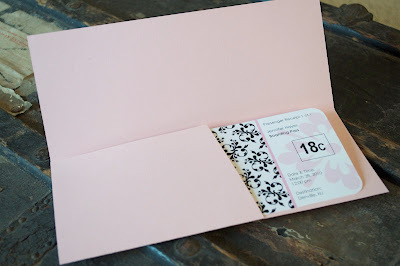 These have to be one of my favorite sets of invitations and favors to date. 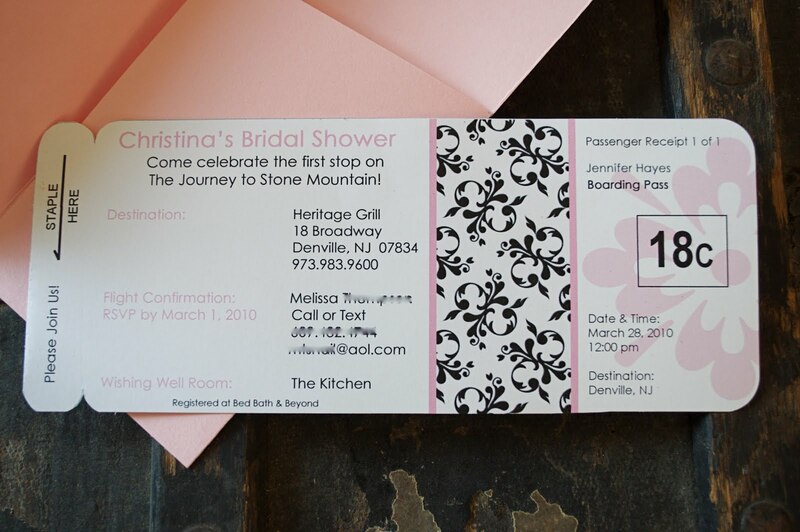 They were ordered for a travel themed bridal shower. The wedding colors were black and pink, so the maid of honor really wanted to stick with that theme. I designed the covers to look like the envelopes that boarding pass tickets used to come in. I wanted to add a little something, so I wrapped a damask belly band around it. 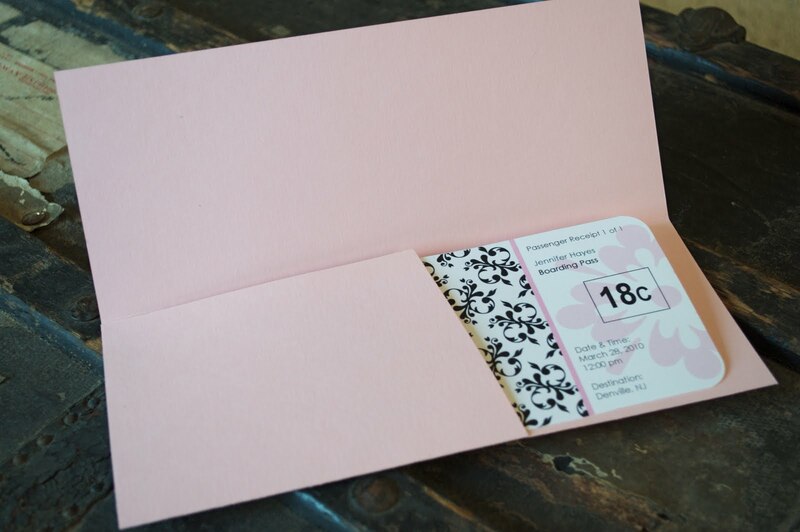 The inside of the invitation envelope was scored and folded with a little pocket to slip the invite in and out. I was really going for the look of a boarding pass, but incorporated the same damask pattern to it to add a little something fancy. 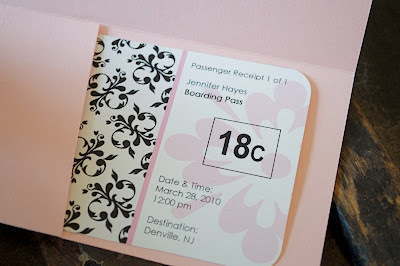 Each invitation was personalized with the recipients name as the passenger. 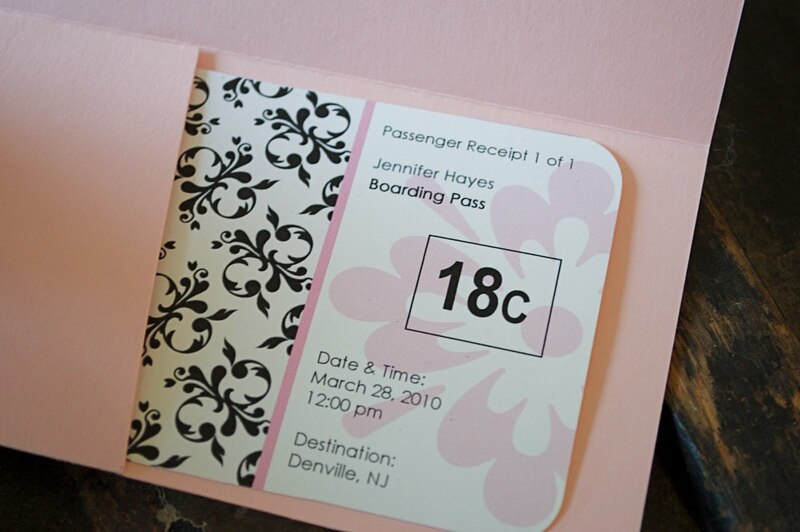 For the favors, I designed coordinating personalized luggage tags. The thick acrylic tag frames are super durable, so I knew they would last a long time. The card could be slipped out so that they could write in their information in case of the dreaded lost luggage! Everyone invited to the shower loved everything!! These were so fun to make, and I was extremely happy with the way everything turned out. I sell the luggage tags on my Etsy site, and the patterns and colors can be swapped out. 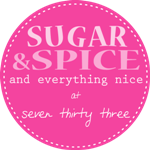 These would make great wedding favors or even gifts!! Cute Cute Cute Idea! Love the colors too! I would like to know where did you print those Invites? I am doing the same kind save the date and I am having trouble finding a place to print them. Thank you very much! Love it!